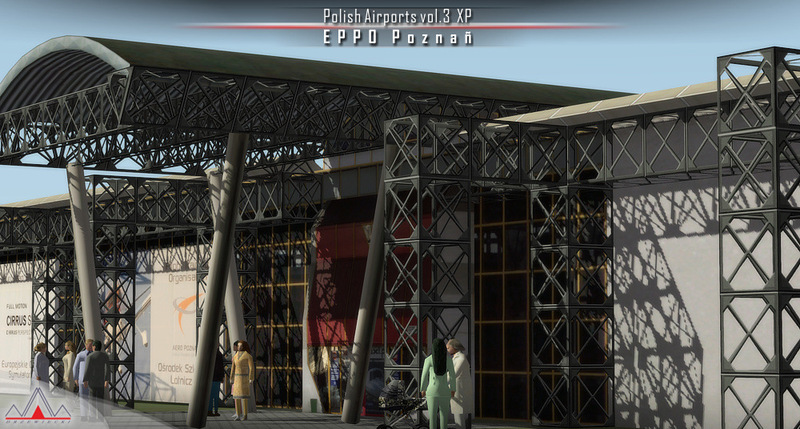 Polish Airports vol.3 XP is a package of highly detailed sceneries of EPPO Poznan, EPWR Wroclaw and EPBY Bydgoszcz airports in Poland. Poznan-Lawica Henryk Wieniawski Airport (IATA: POZ, ICAO: EPPO), built in 1913, is one of the oldest airports in Poland. It is located 5 km (3.1 mi) west of Poznan city centre. EPPO is the 6th largest airport in Poland. The northern section has been used as a military airport since its inception in 1913 as an Imperial German airbase till 23 December 2009. The southern section is used for civilian purposes. The prospect of relocating the airport elsewhere is often raised as a result of the flight path to the runway being located directly over the city. 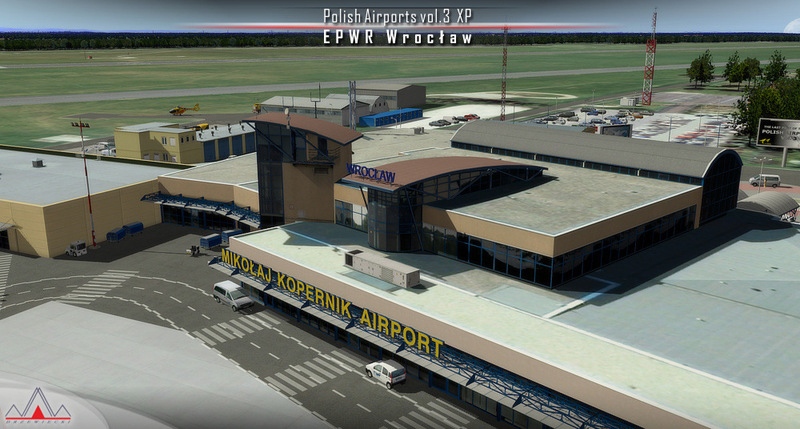 Wroclaw Copernicus Airport (Polish: Port Lotniczy Wroclaw im. Mikolaja Kopernika) (IATA: WRO, ICAO: EPWR) is an international commercial airport in Wroclaw in southwestern Poland. The airport is located 10 km (6.2 mi) southwest of the city centre. It has one runway and two passenger terminals and one cargo terminal. The new terminal started its operations on 11.03.2012. EPWR is the 4th largest airport in Poland (after Warszawa EPWA, Krakow EPKK and Gdansk EPGD), similar to EPKT Katowice in size.